According to The Knot Real Weddings study, the average wedding cost was $33,391 in 2017. Of course, this is just an average. Costs vary greatly according to geographic location and other reasons. These days, formal weddings are on the decline, and couples are incorporating cultural, religious and personalized elements. Additionally, couples are getting smarter about spending. With some creativity and planning, it is possible to have a beautiful event that doesn’t bust your budget. 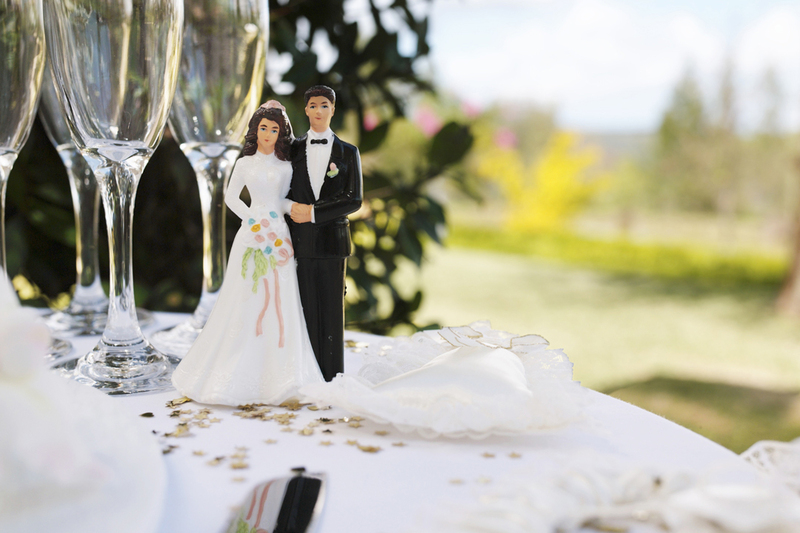 Here are some money-saving tips from financial and wedding experts. Shop around. Diligently research venues and vendors to compare pricing and deals. Skip the busy season and book your date for an off-peak time, typically January, February or March, in many parts of the country. The demand for weekends during those months is lower, so you may be able to negotiate better rates with venues and vendors. Be flexible with time. The most popular, sought-after and expensive day and time for a wedding is Saturday evening. Schedule your ceremony during the morning or daytime. Or, opt for a Friday or Sunday instead of a Saturday. Expenses may be lower during those days and times. Hold a “destination wedding,” which involves the entire party traveling to a special location for the celebration and essentially combines the reception and honeymoon. Save money with simple packages in which most elements, such as photography, decorations and venue, are all included in the price. Shop at vintage or consignment stores for the wedding dress. Don’t want to buy used? Several department stores like Nordstrom, Dillard’s, J. Crew and White House Black Market have gowns for a fraction of the cost. Craft stores carry a wide and beautiful supply of wedding supplies. Get creative and make your own invitations, decorations, place cards and thank you cards. Don’t go overboard on flowers. Select flowers that are in season or buy silk flowers and make your own bridal arrangements.